One of the things we did at the convention was invited 15 readers to the room and had a pizza party. 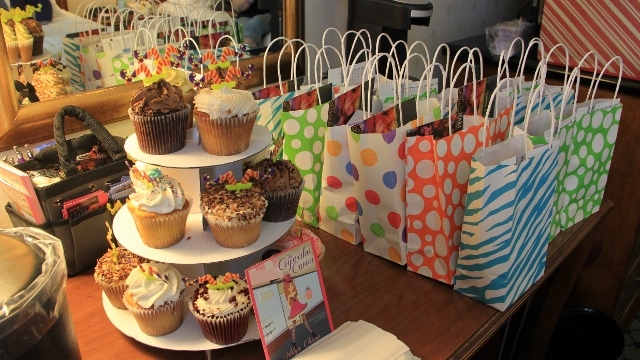 Sara Humphries, Ashlyn Chase, CH Admirand, and Terry Spear had books, cupcakes, pizzas and drinks, bags of goodies and and other things to give away for readers, reviewers and bloggers. Jennilinh Dinh coordinated the party and gave away Mary Kay products. We all had fun. Just a different way to connect with readers, reviewers, and bloggers and have fun. 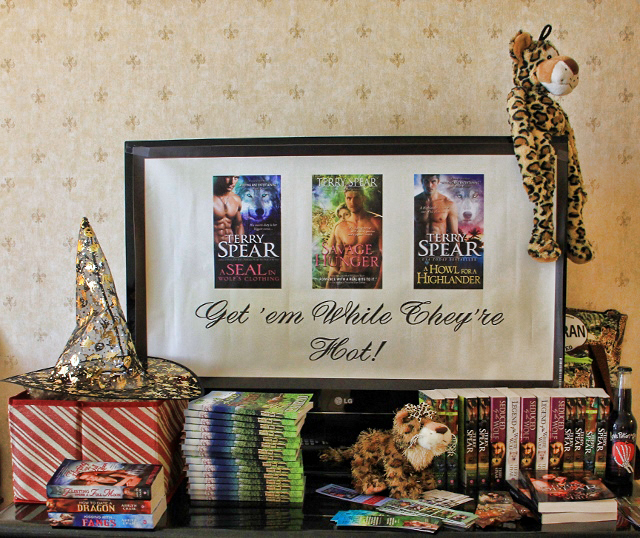 This was at the Romantic Times Readers Convention, New Orleans.